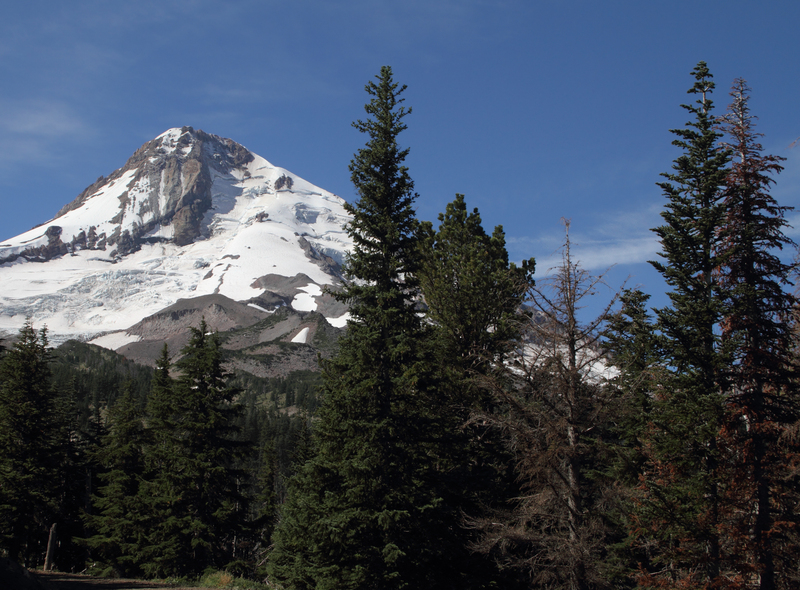 Mount Hood and Cannon Beach, Oregon. Last updated: 9/6/2010. 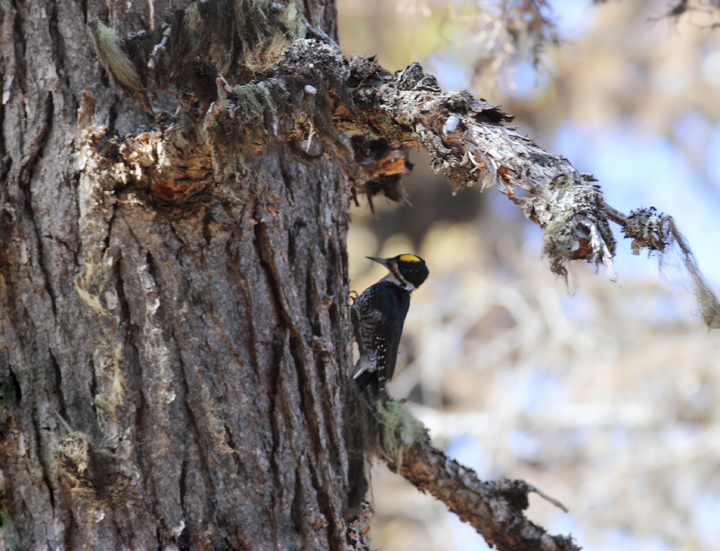 Above and below: An American Three-toed Woodpecker foraging in a burn area on Mount Hood, Oregon (9/2/2010). 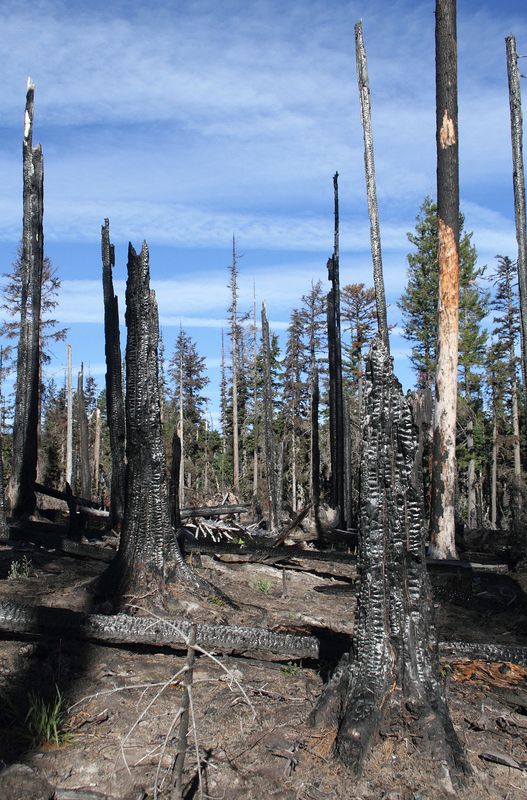 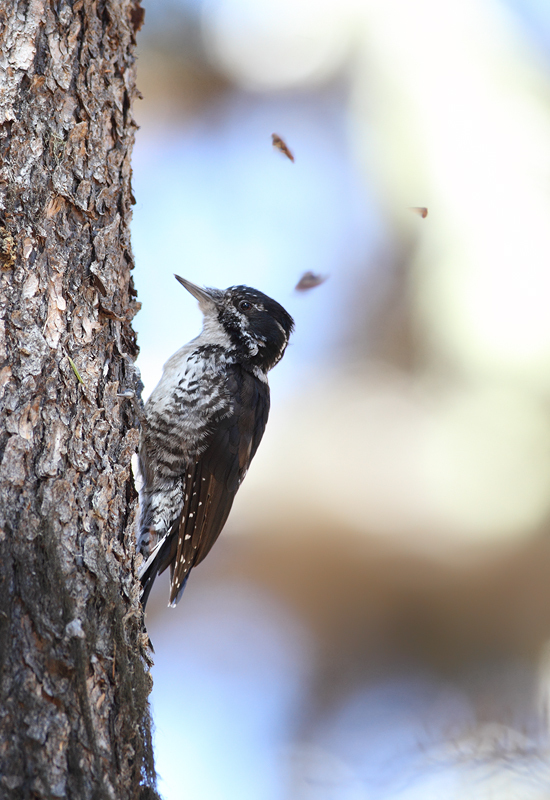 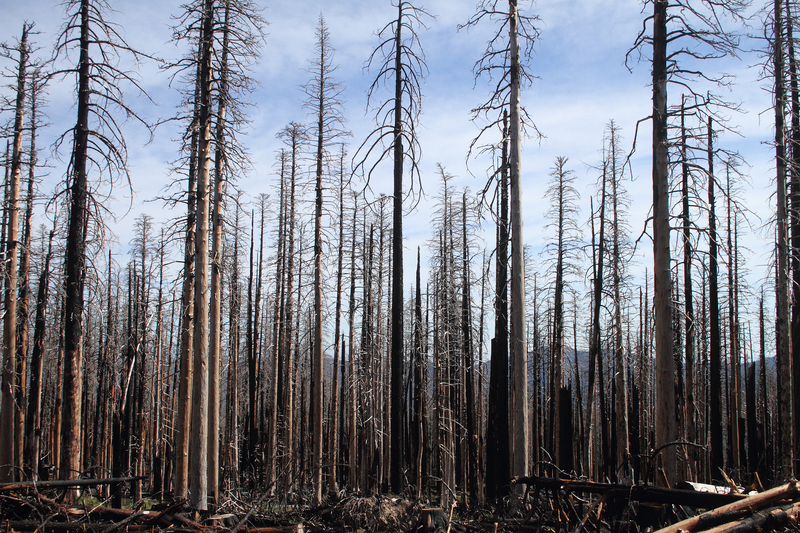 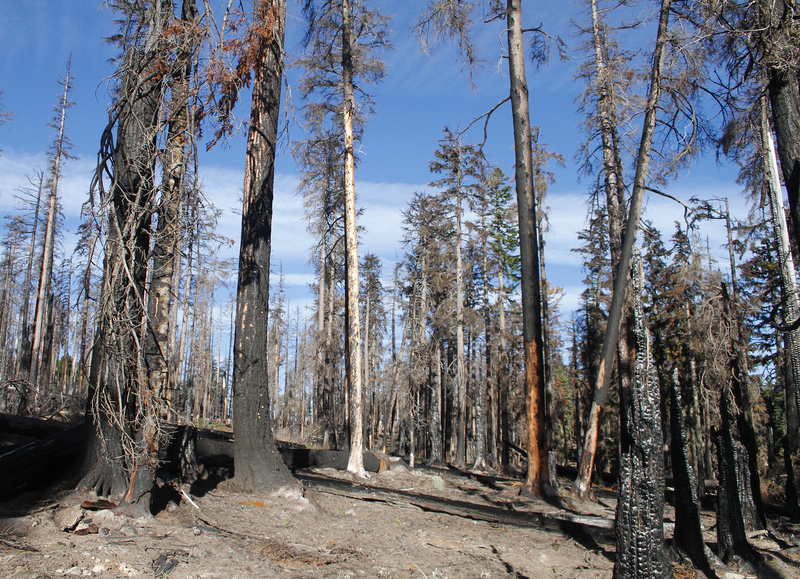 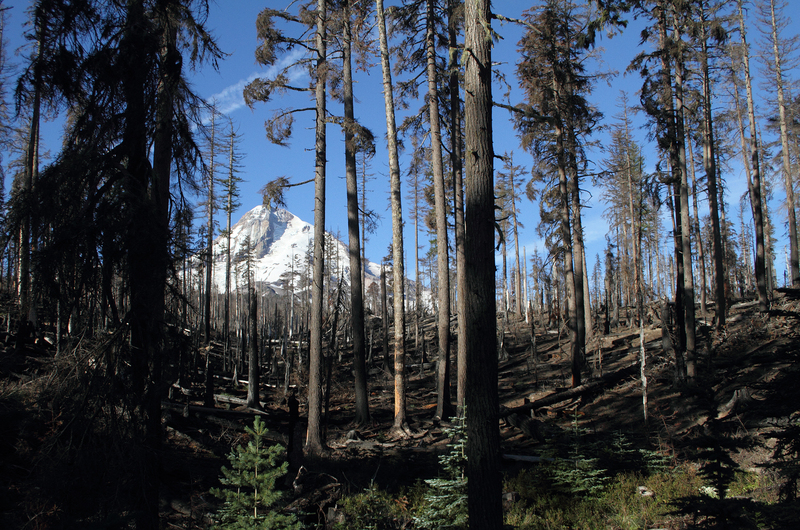 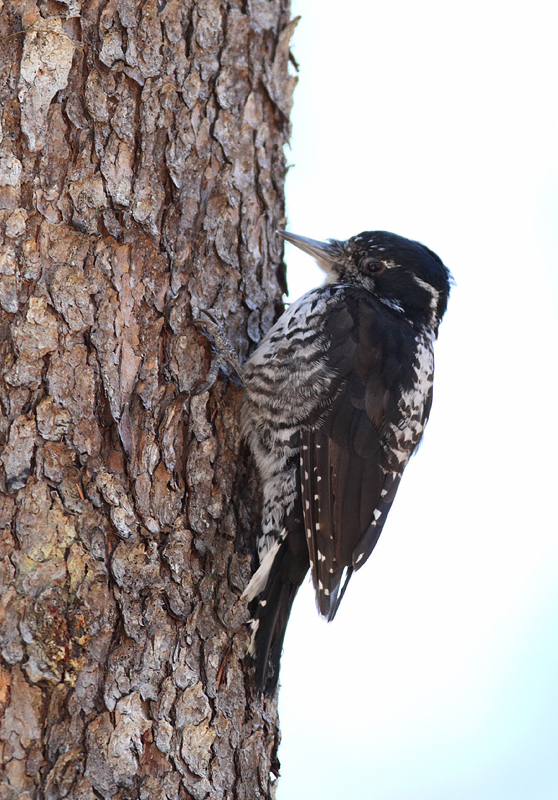 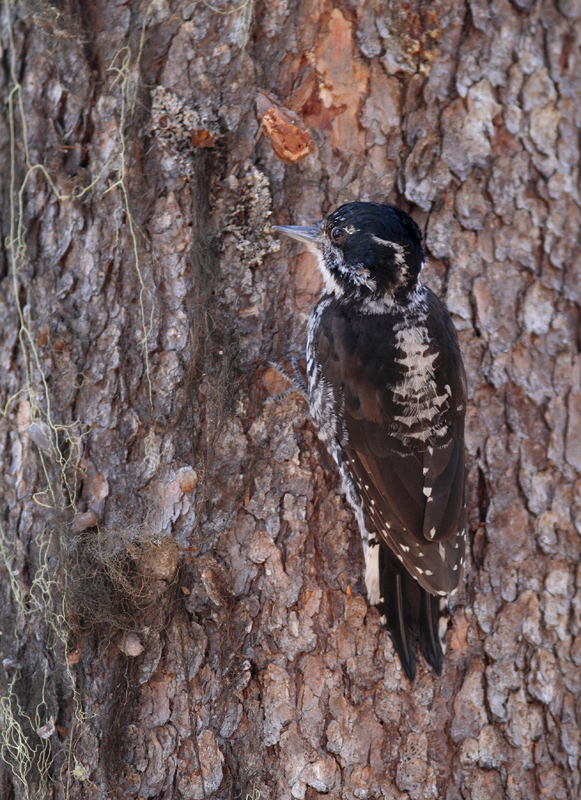 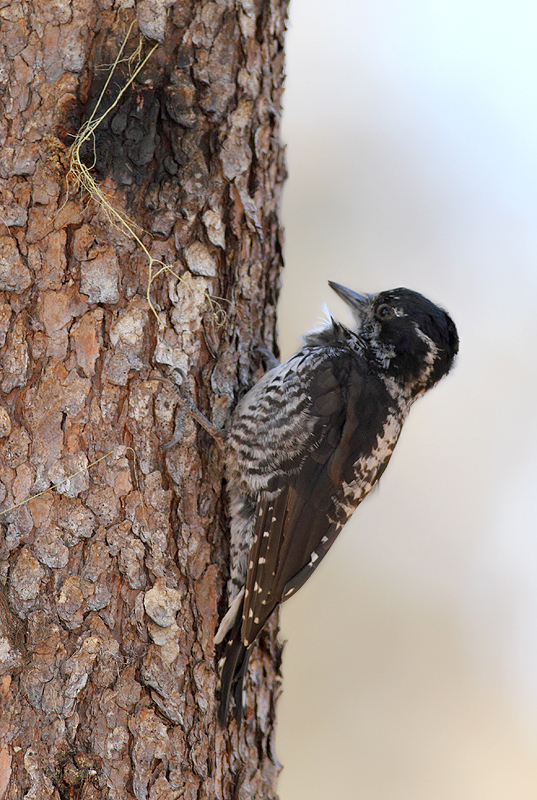 This species, like Black-backed Woodpecker, specializes in habitat with many recently dead conifers, especially burns. 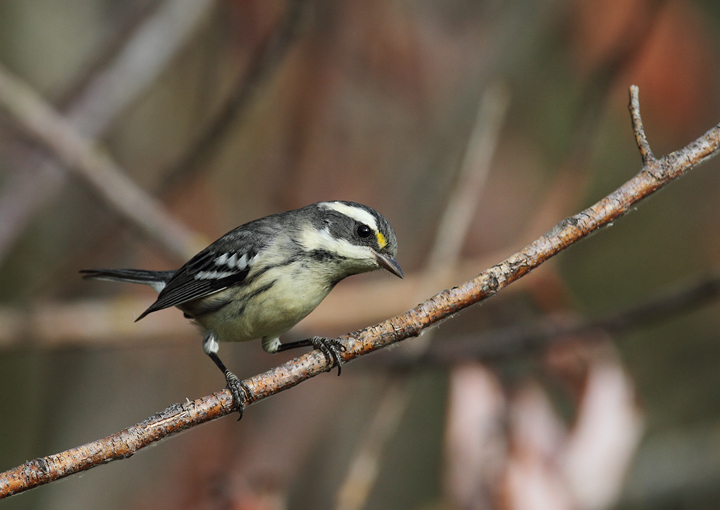 Click any of the habitat photos to view larger versions. 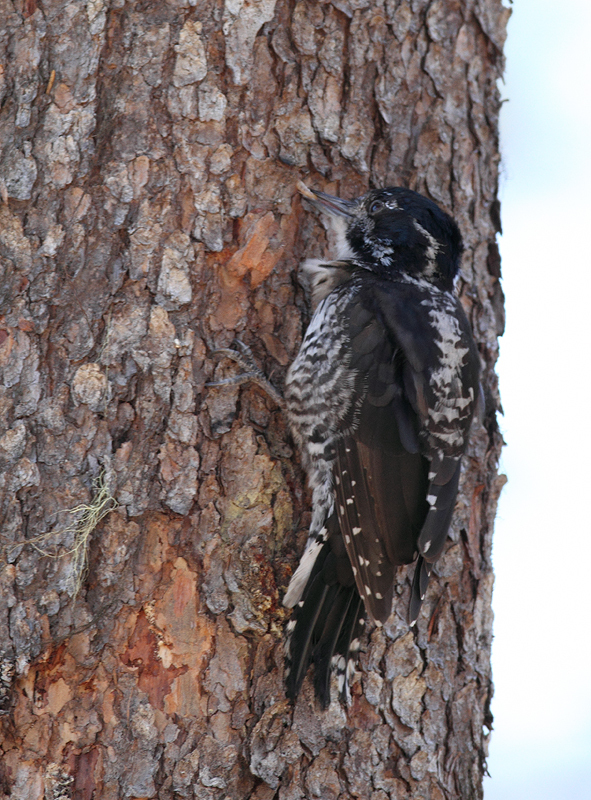 Below: A Black-backed Woodpecker foraging in a burn near Cooper Spur, Mount Hood, Oregon (9/2/2010). 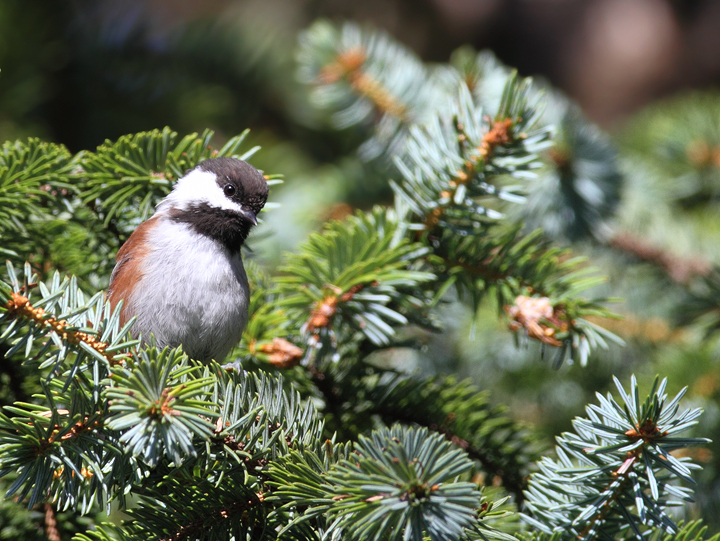 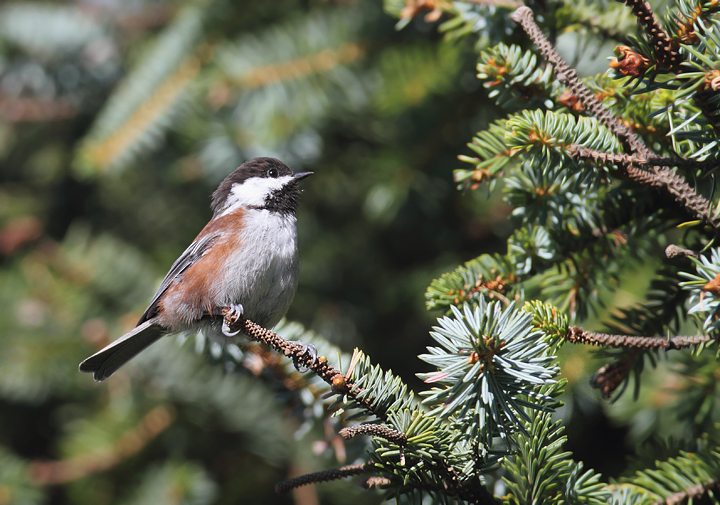 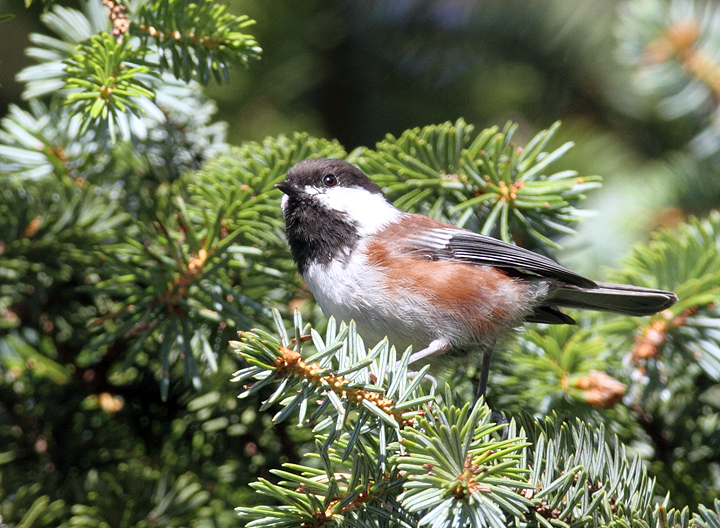 Below: Chestnut-backed Chickadees foraging near the beach at Ecola State Park, Oregon (9/3/2010). 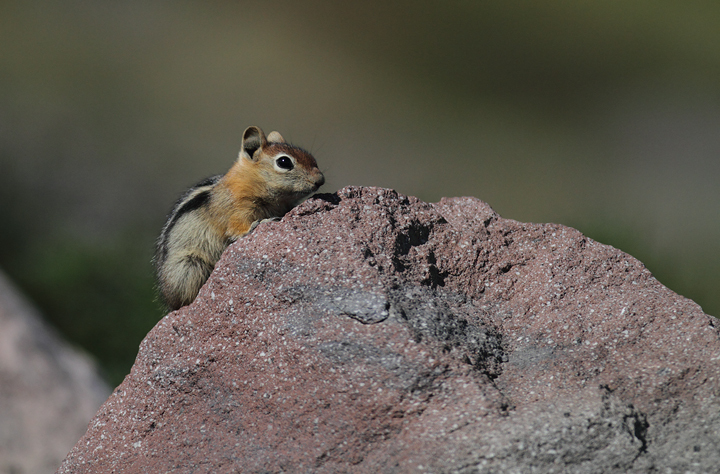 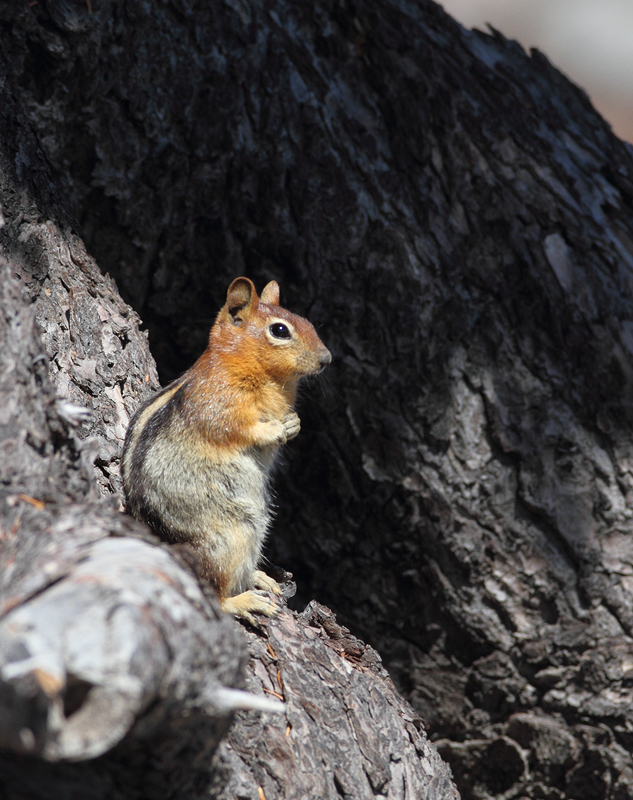 Below: Golden-mantled Ground-squirrels on Mount Hood, Oregon (9/2/2010). 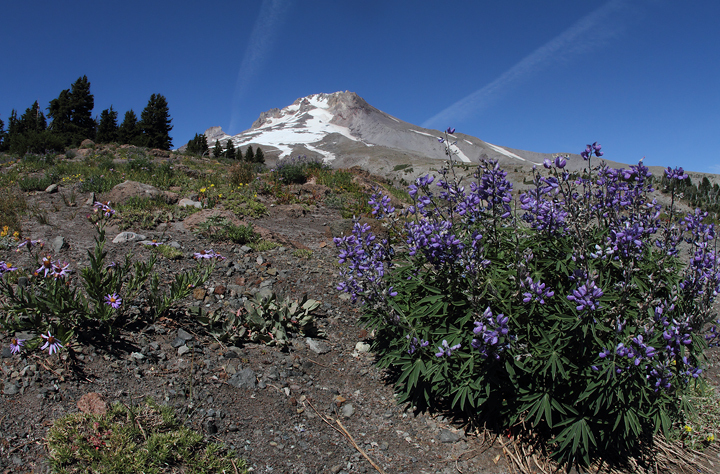 Below: Mount Hood near the timberline (9/2/2010). Below: Mount Hood as viewed from near Cloud Cap (9/2/2010). 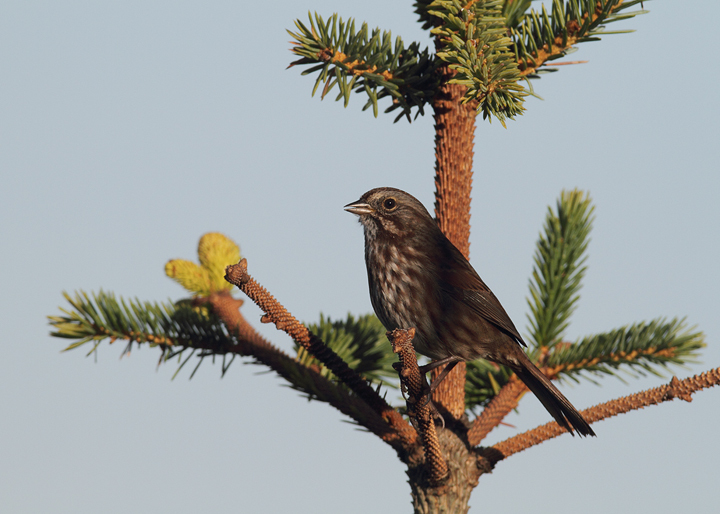 Below: A Song Sparrow singing at sunrise at Ecola State Park, Oregon (9/3/2010). 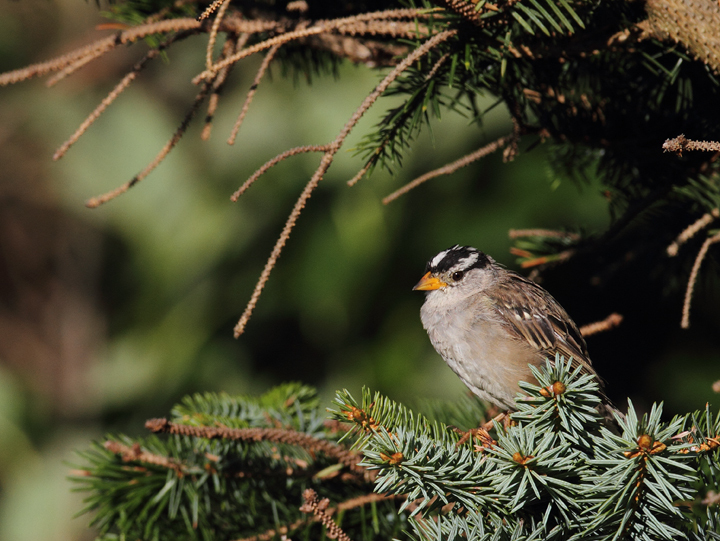 Below: An adult White-crowned Sparrow at Ecola State Park, Oregon (9/3/2010). 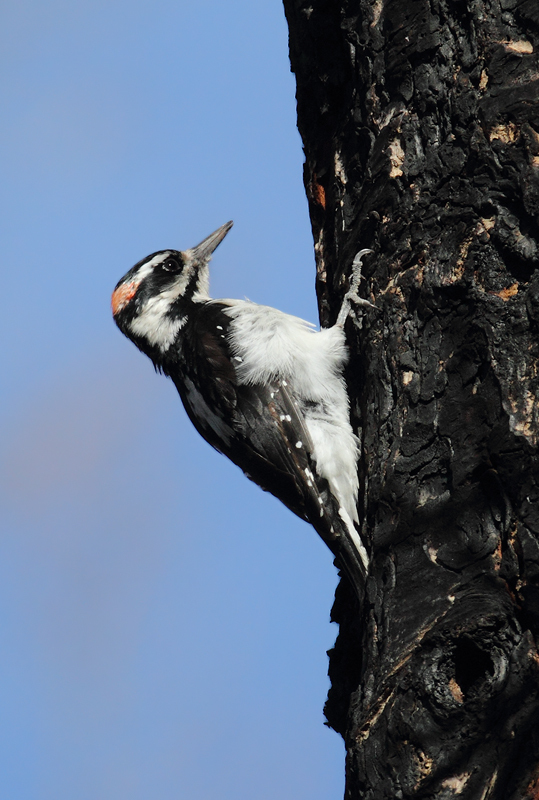 Below: A male Hairy Woodpecker foraging in burn habitat, Cooper Spur, Oregon (9/2/2010). 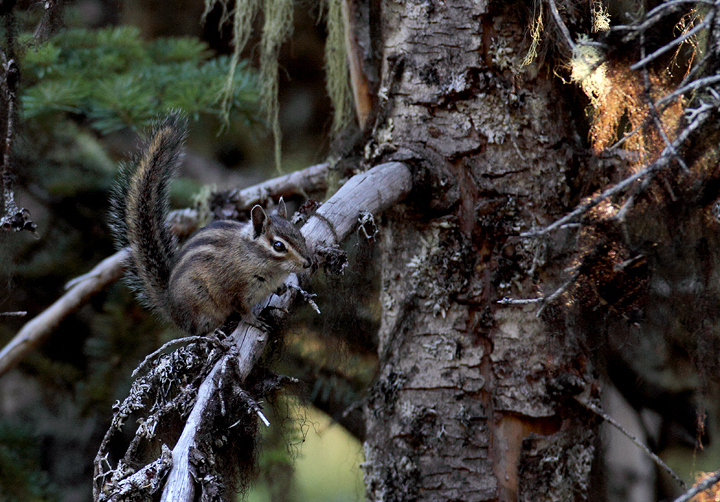 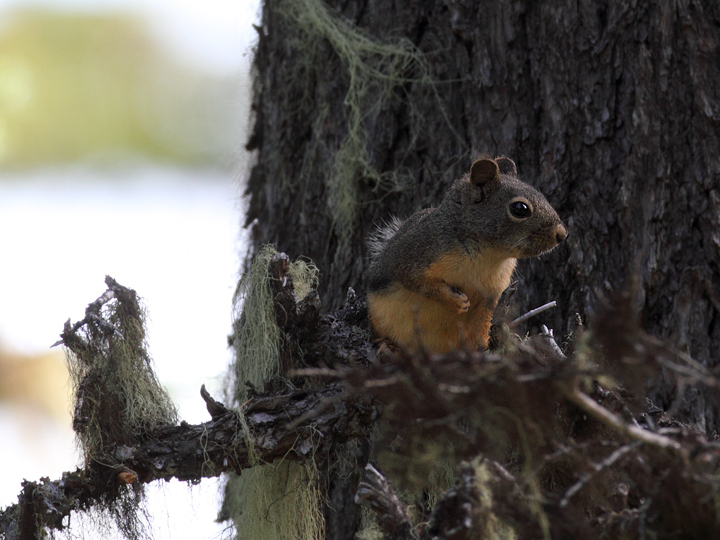 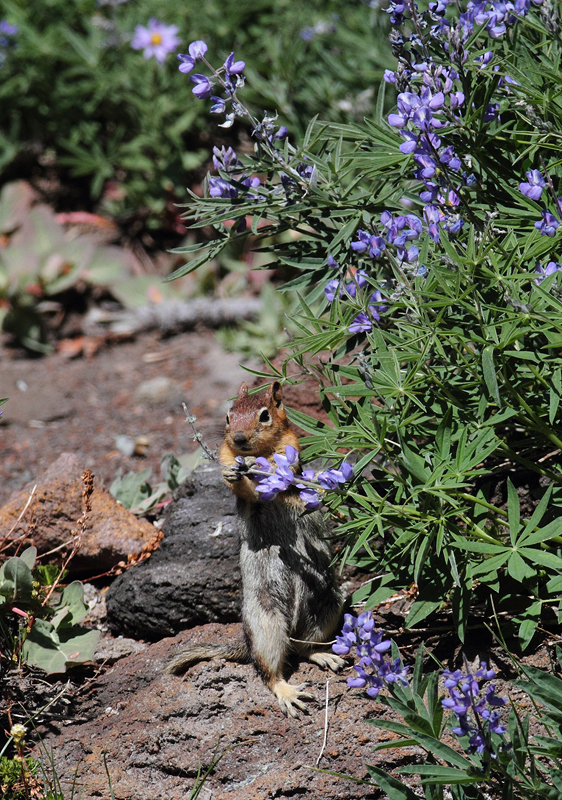 Below: A Douglas' Squirrel on Mount Hood, Oregon (9/2/2010). 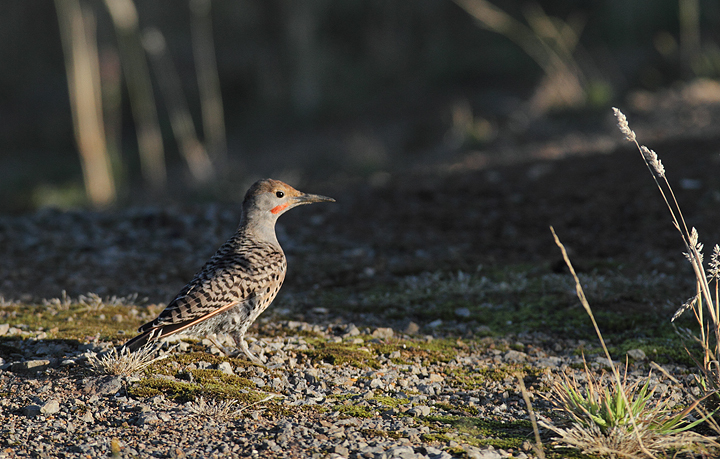 Below: A "Red-shafted" Northern Flicker foraging at sunrise at Cannon Beach, Oregon (9/3/2010). 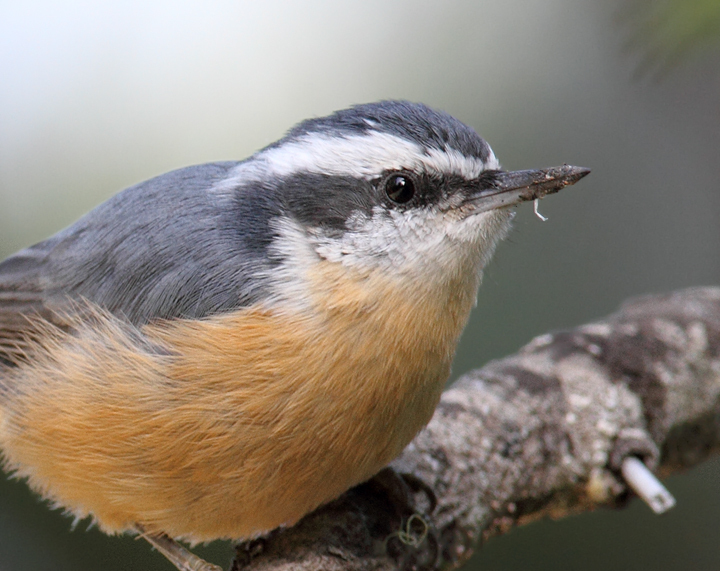 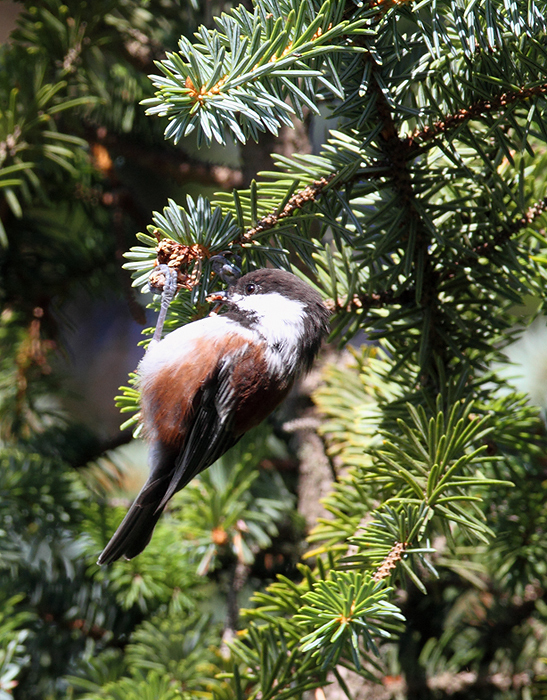 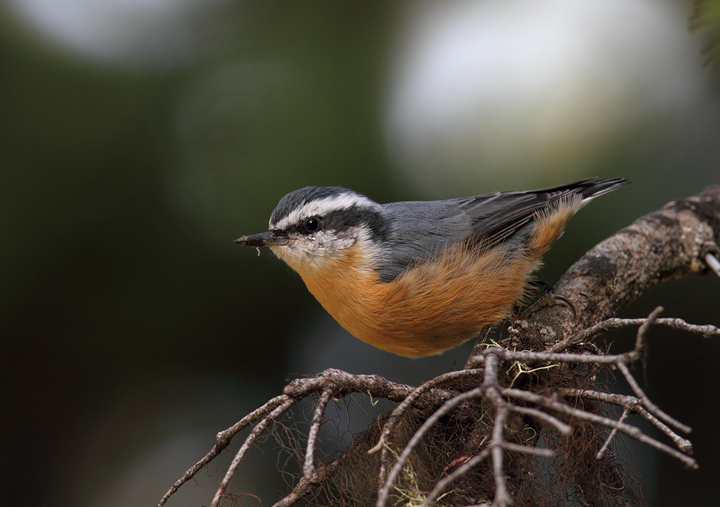 Below: A Red-breasted Nuthatch on Mount Hood, Oregon (9/2/2010). 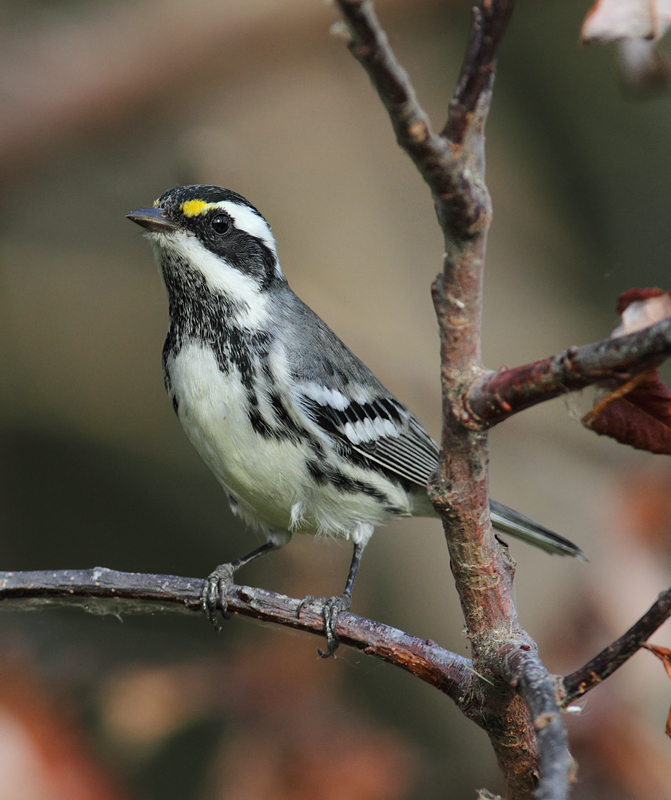 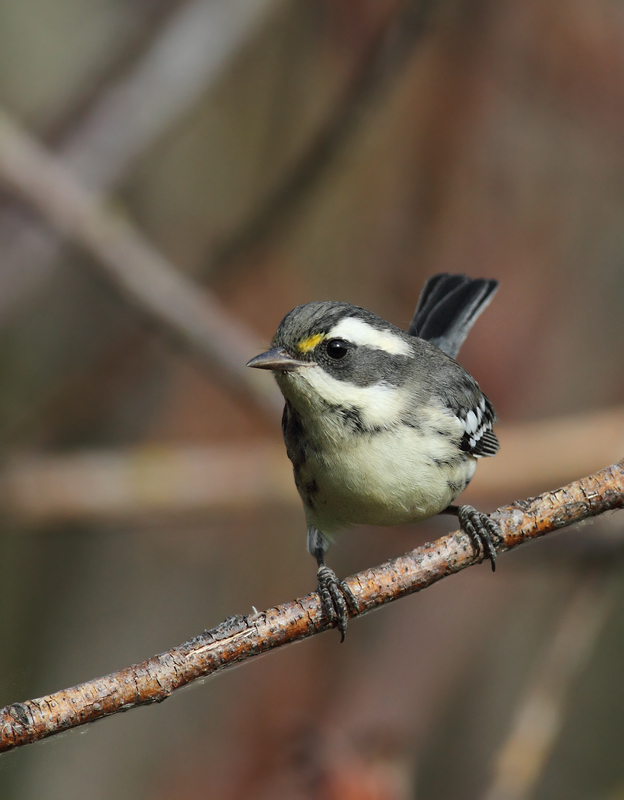 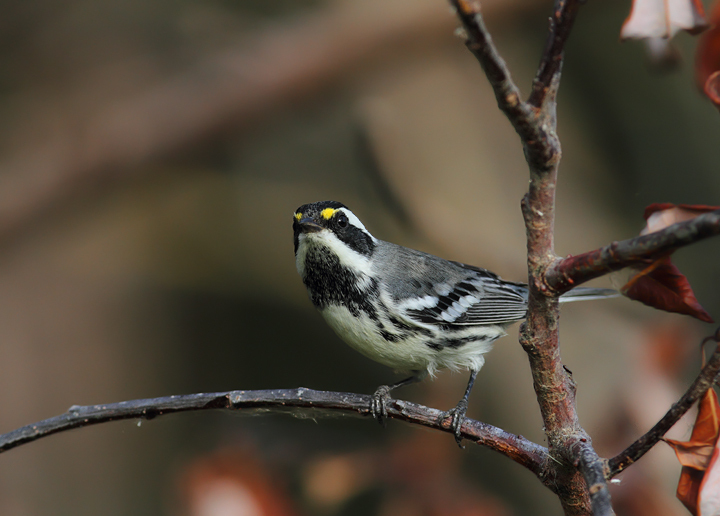 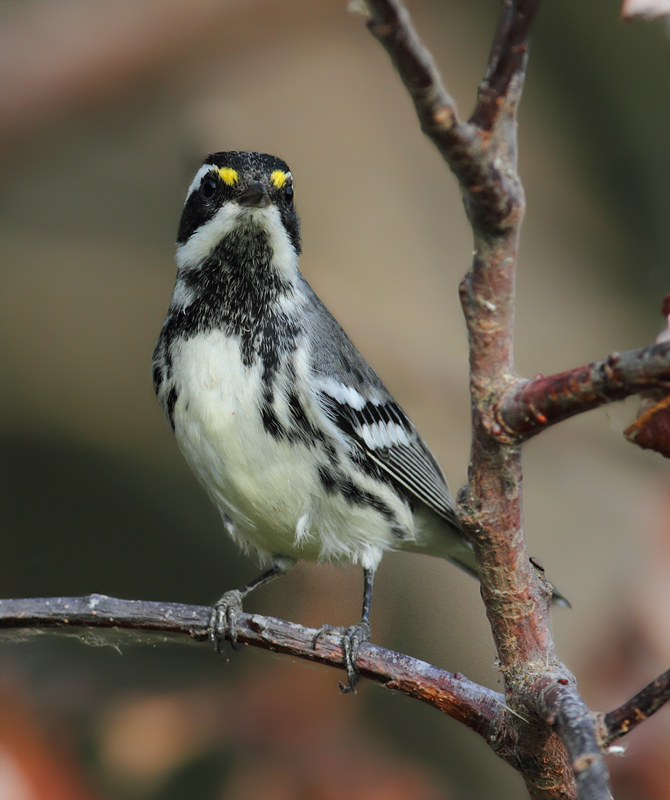 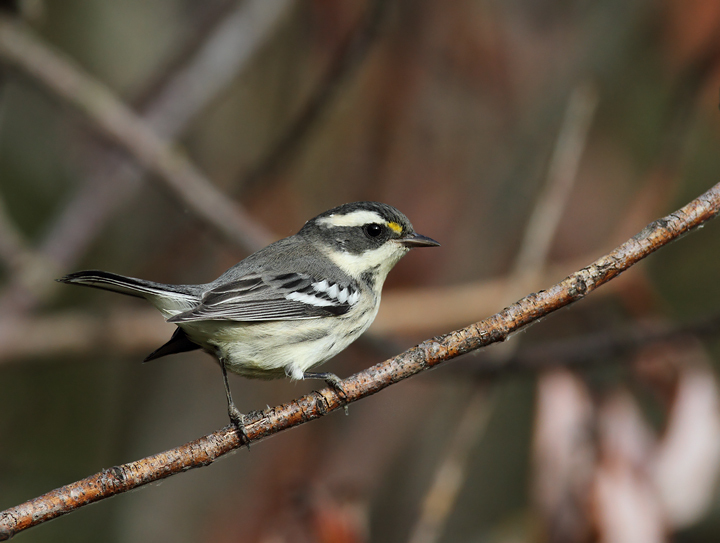 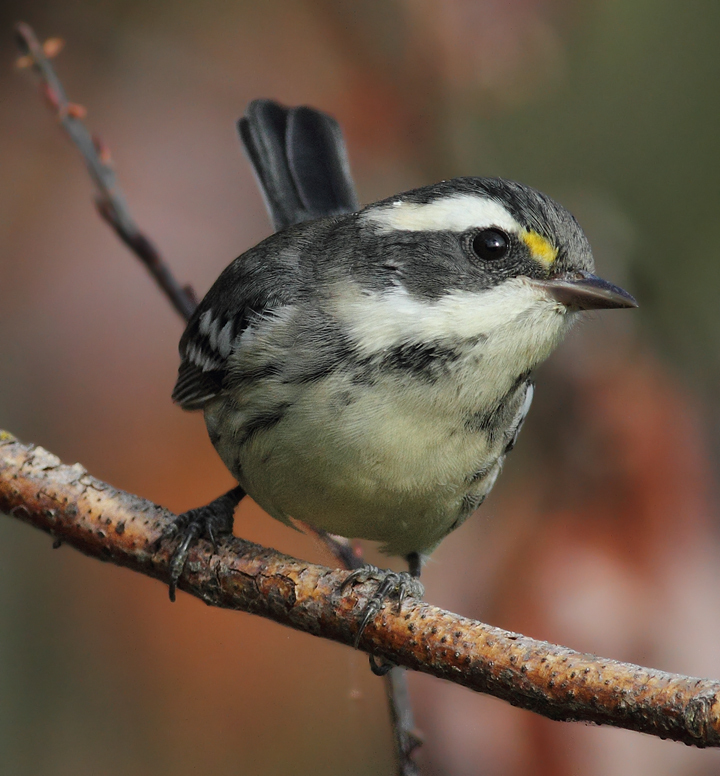 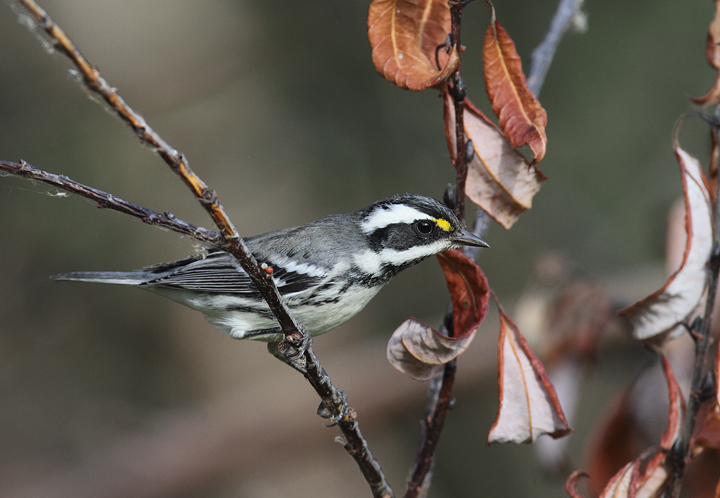 Below: Black-throated Gray Warblers near Portland, Oregon (9/2/2010). 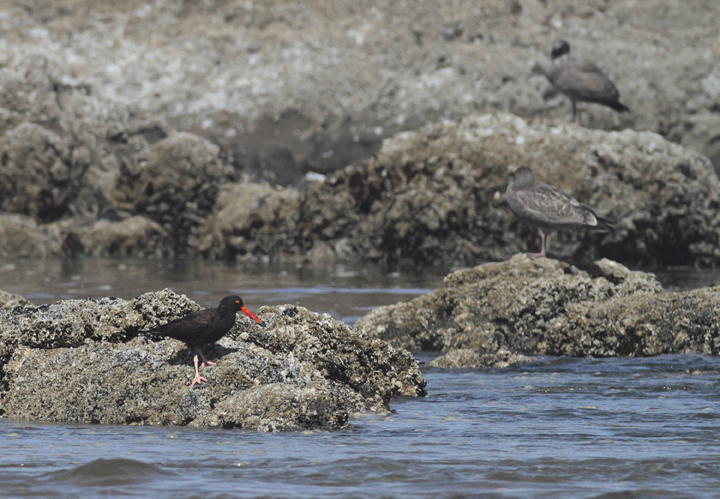 Below: A Black Oystercatcher foraging near Haystack Rock, Oregon (9/3/2010). 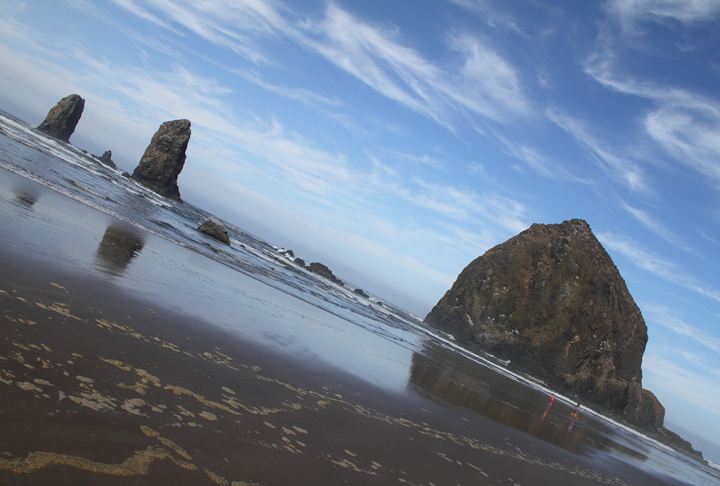 Below: Haystack Rock, Cannon Beach, Oregon (9/3/2010). 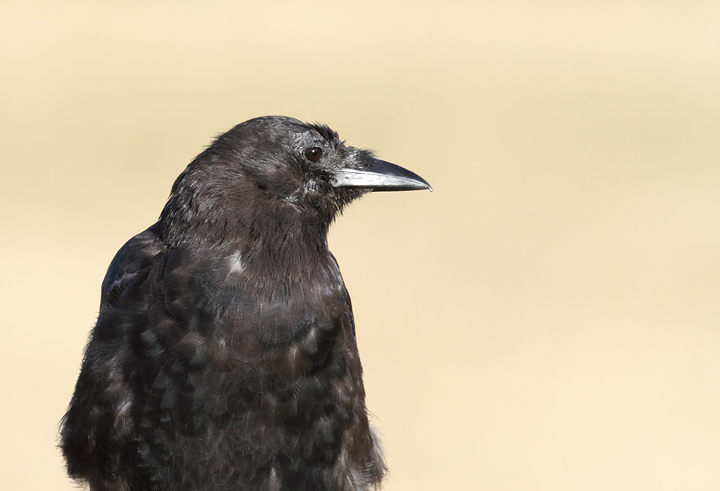 Below: An American Crow in the early morning sun at Ecola State Park, Oregon (9/3/2010). 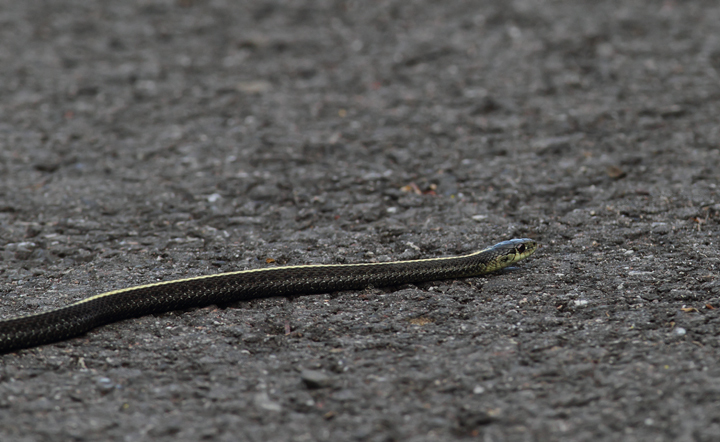 Below: A Northwestern Garter Snake (Thamnophis ordinoides) near Portland, Oregon (9/2/2010). 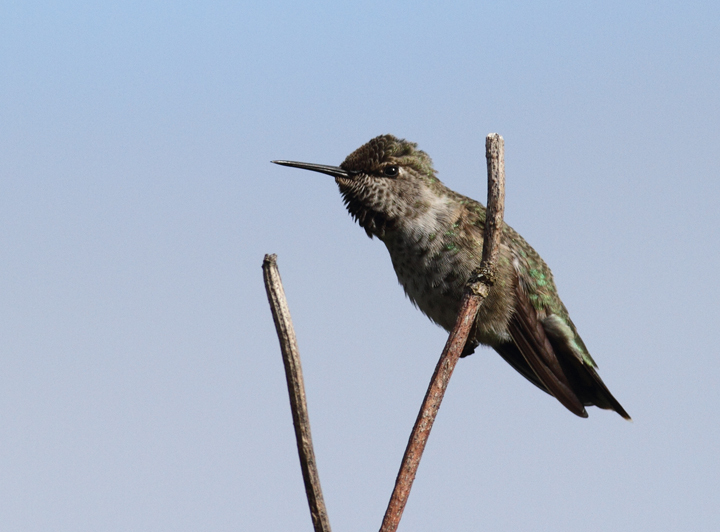 Below: An Anna's Hummingbird in Portland, Oregon (9/4/2010). 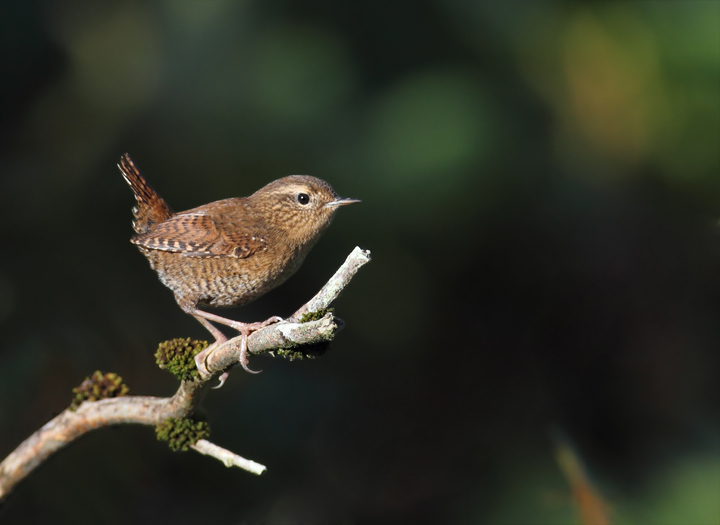 Below: An unexpectedly confiding Pacific Wren, which was recently deemed a separate species from Winter Wren - Cannon Beach, Oregon (9/3/2010).